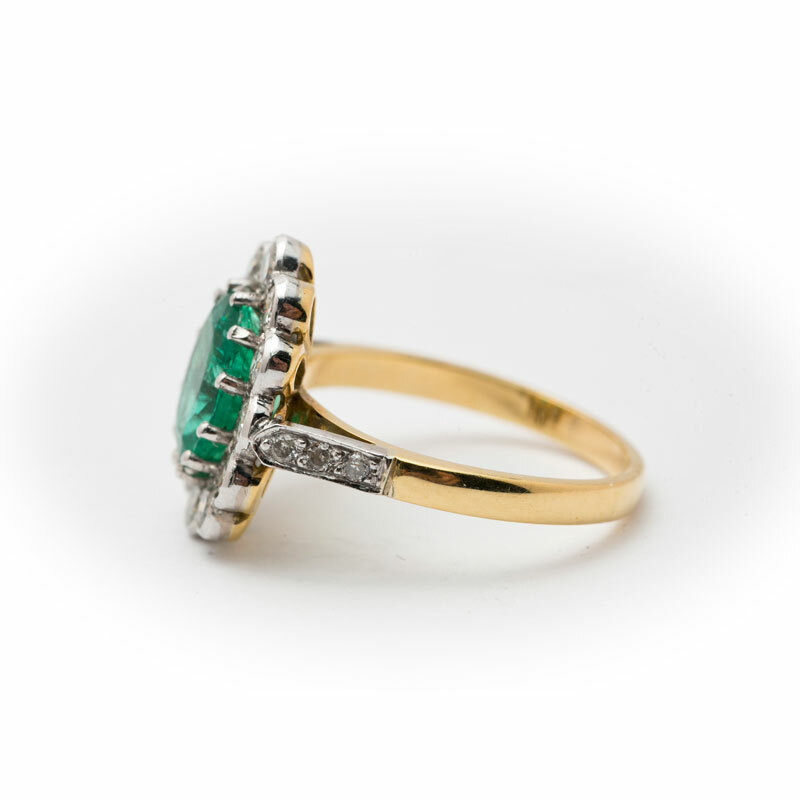 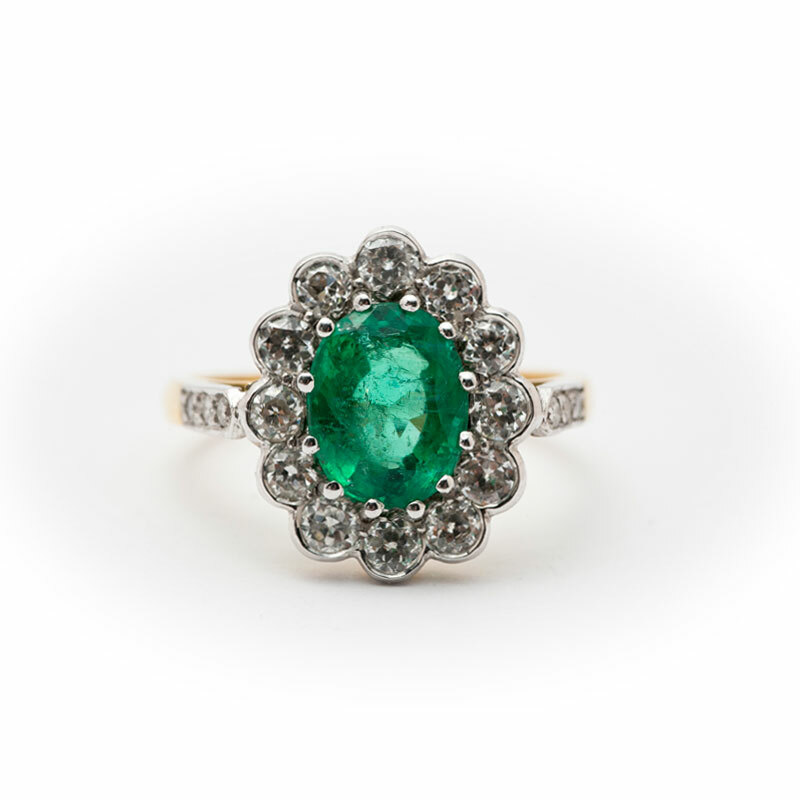 Traditional cluster ring featuring a central emerald surrounded by round cut diamonds in a white gold setting. 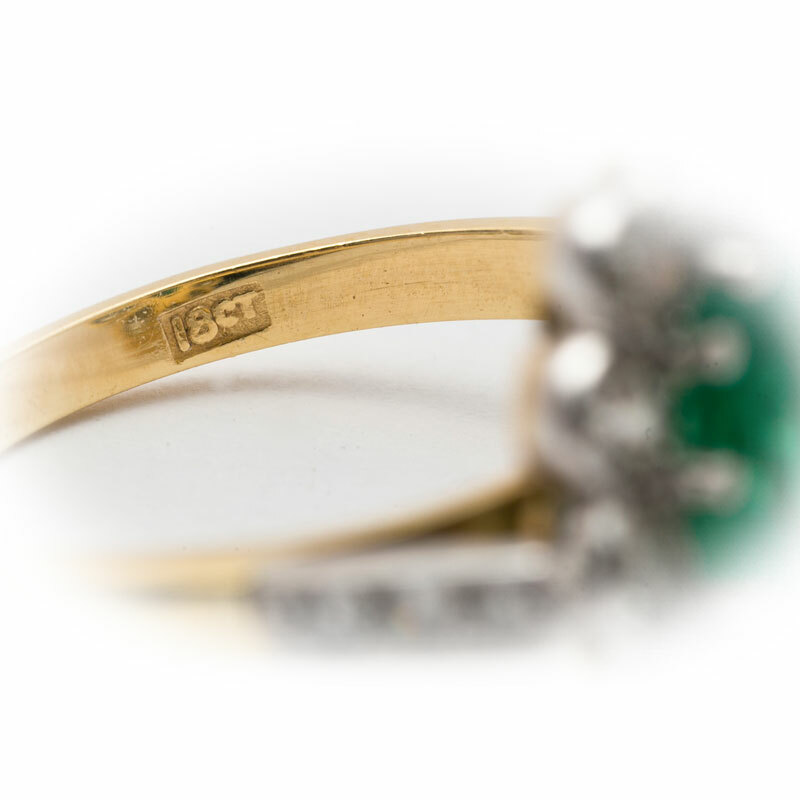 The 18ct yellow gold band is accented by 3 diamonds at either side. 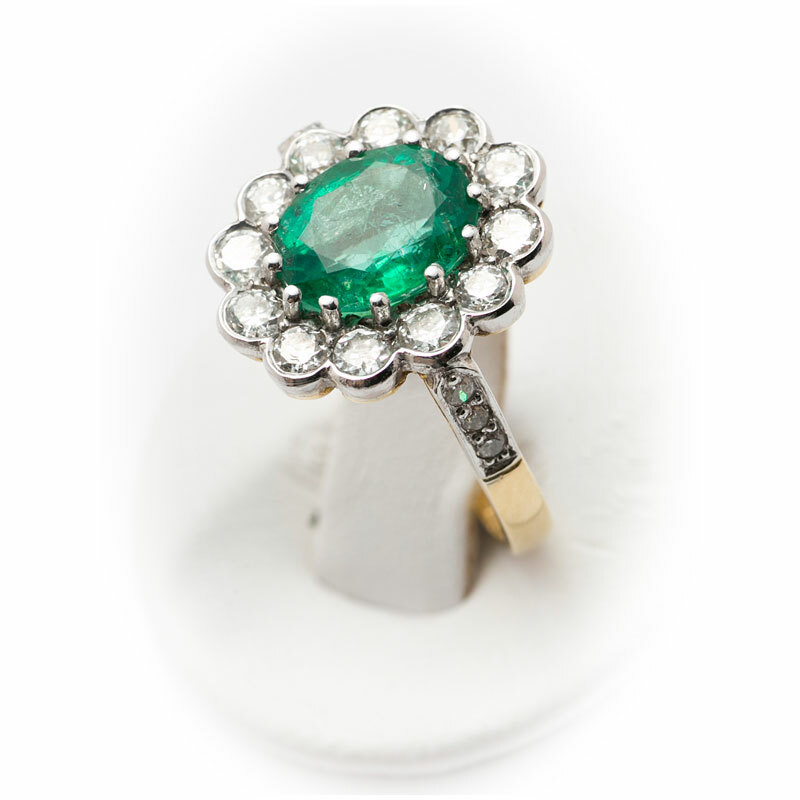 Emerald is approximately 1.92ct and diamonds are 1.05ct.